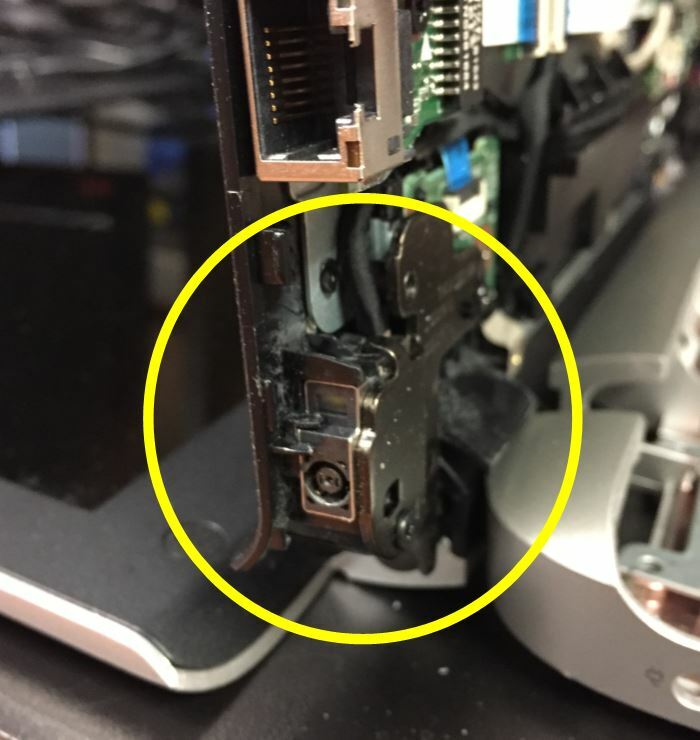 One of the more common problems we see with laptops that come into our shop revolves around the laptop power jack. It's where your AC/DC power pack plugs into and powers your laptop. Because of the way they are designed, they get bumped, bashed and bent. They take a lot of abuse. Seriously, a lot of abuse. In many cases we see, the internal structure of the connector gets cracked which causes problems with operating your laptop. In some cases you may think that there is a problem with a battery as it won't charge. Many times troubleshooting will indicate the problem is with this adapter rather than the battery. You have to keep the power cord in a certain direction for the power supply to work. You notice the power icon indicates you are not connected to AC and the laptop only runs on battery power. The laptop battery doesn't charge. The laptop switches from AC power to battery power intermittently. Sparks actually shoot from the back of your laptop. The laptop shuts off randomly. 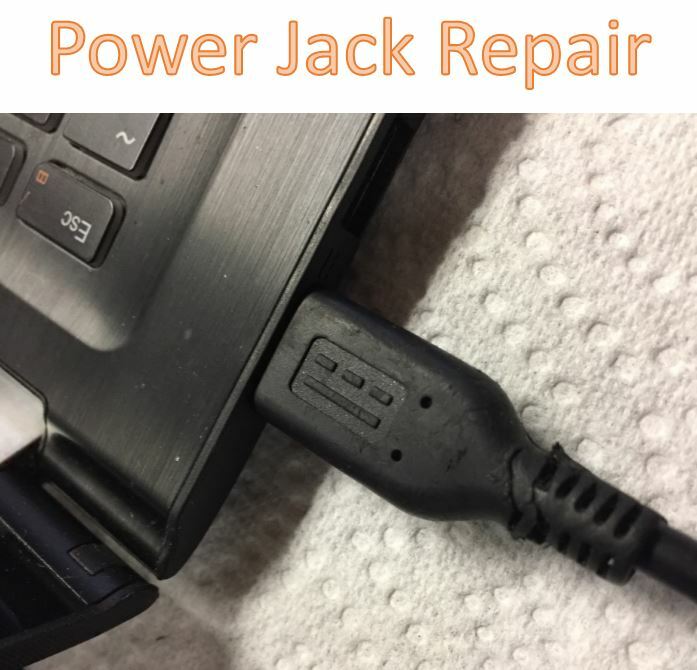 If the jack where you plug in your laptop power adapter comes loose, you risk seriously damaging internal components including the motherboard. For that reason, as soon as you notice problems with the jack , you really need to get it fixed before it does serious damage to your laptop. The cost of the repair will vary as the structure of each laptop is different. It will depend on how difficult it is to get to the power jack once the laptop is opened up. Be wary of computer specialists who either tell you the machine is not repairable or that it needs a new motherboard with a quote of several hundred dollars for the repairs. The replacement cost will run around $100 depending on the model of your laptop. Our technicians take your laptop apart. We check to make sure that there is no further damage to your laptop case or the motherboard. We identify the correct part. Test the machine and the power supply by doing a full charge and checking software applications to make sure the laptop is operating smoothly. You don't have to retire your laptop because of this common problem. We repair laptop power jacks on a near daily basis and our repairs are made to last. Our Geek technicians performing this repair are professional. We can't change the way your laptop was designed however. Some jacks mount onto your laptop’s motherboard by as few as a few tiny pins. Also remember that anything will break if it's hit hard enough. When you bring in your laptop make sure you bring along the power supply so we can test that as well.